Life was tough during my first marriage of fifteen years. I was a part-time grocery clerk and Rick was a full-time alcoholic which made money scarce. Christmas was especially difficult. Pauline Hackett was an institution of my Church. This farmer's widow was no dainty flower, but tall and rugged, self-reliant, with a strong voice and ready smile. I don’t know why she started giving me Christmas presents, unless it was to thank me for playing the organ. But each year the gift box grew - afghan, doilies, towels, candles. It was embarrassing to receive so much, because I could never return the favor. When it became too difficult to shop, Pauline started giving me cash for Christmas - usually $50 or $100. It was a small fortune to me and desperately needed! The years passed. Rick had decided at an early age that life would beat him down, and he made it so. But I had other plans. I put myself through college and left with my daughter, determined that she would have a better life. Sadly Pauline was becoming forgetful and confused. It was painful to hear her misspeak at Church. She was suffering the long goodbye of Alzheimer’s disease. She stopped coming to Church, and eventually moved into a nursing home, O'Hesson Manor. Before long she had forgotten her family and friends. 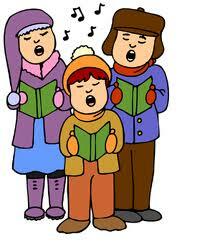 Our Church choir annually performed our Christmas cantata at O'Hesson. That year I was not looking forward to seeing Pauline living as a shell of herself, helpless, unable to utter anything comprehensible. Two of Pauline’s nieces were with us, and they sat on each side of her holding her hands as we sang. Pauline did not speak or give any sign of recognizing any of us. When we finished performing, the nieces asked us to sing a few Christmas carols for Pauline. We were all tired from working and shopping and all the holiday preparations, but for Pauline, of course we would stay a little longer. They brought her up close to the piano, and our small choir gathered around. I wasn't expecting any different reaction from her disinterest in the cantata. But then it happened! Pauline began to sing! She knew every word to every carol, and she sang with that wonderful smile on her face that we hadn't seen for so long! We were no longer strangers to her, but old friends. Suddenly we had the stamina and enthusiasm to go on. We sang song after song - Joy to the World, We Three Kings, O Little Town of Bethlehem... We would not stop until Pauline had sung to her heart’s content. I was finally able to repay her in small measure for everything she had done for me. The choir members looked at each other and knew this was a Christmas miracle we would never forget.